The Disney Frozen Rainbow Loom Kit is on sale for $24.95 at Amazon right now. That's 50% off the list price of $49.99! 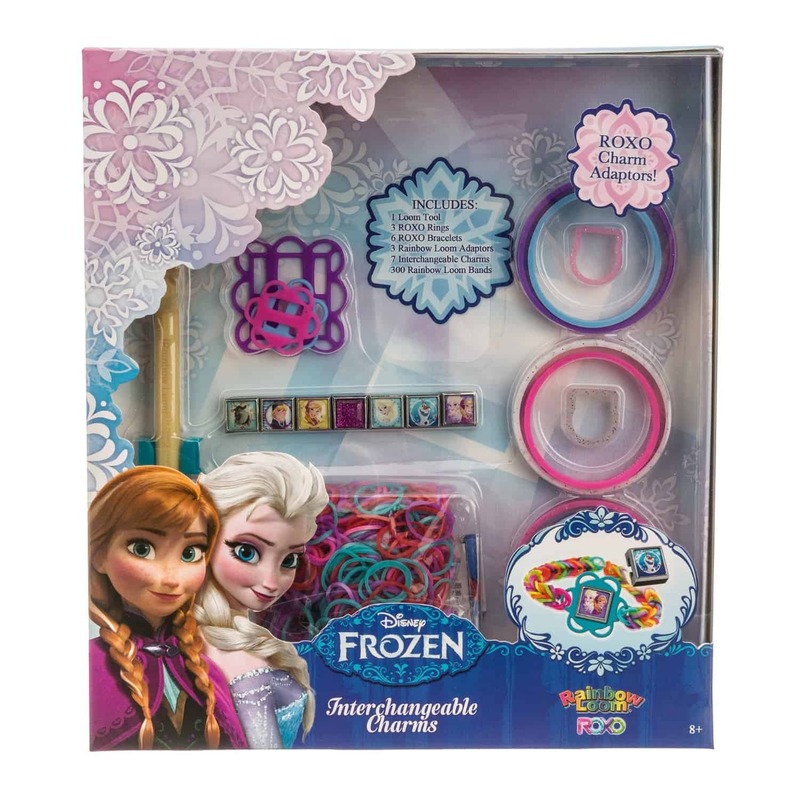 Do it Yourself Elsa & Anna Rainbow Loom Kit. Make your Own Frozen Rainbow Loom Bracelets and Add Disney's Frozen Roxo Charms. Includes 300 Frozen Rainbow Looms, Rings, Roxo Bands & Frozen Charms. All interchangeable with other Rainbow Loom Sets. 7 Charms Include Elsa, Anna, Olaf, Sven, Sisters & Kristoff. Customize your own Bracelets & Rings from the movie Frozen.